by Seton Motley, Contributing Author: A key Barack Obama Administration legacy item is its wanton abuse of the Constitution’s separation and balance of powers. No Executive Branch in history has spent more time pretending to be the Legislative Branch – writing regulations where the requisite preceding law doesn’t exist. As this Administration’s time runs down – its minions ramp up these unilateral power grabs. As the grabs get larger and more obnoxious – more and more people oppose them. President Obama’s Federal Communications Commission (FCC) has with its latest proposed heist created just this sort of nigh total opposition – their looming set-top-box mandate. Does the FCC have the legal authority to do this? It’s pretty clear the answer is No. The law under which the FCC just about always operates is the 1996 Telecommunications Act – until very recently a law recognized by just about everyone to be a deregulatory document. Meaning its intent was to get and keep government out of the way of things like television and the Internet. But this Administration has turned this mandate on its head – and bizarrely warps the law into bizarrely “justifying” power grab after power grab. So too it is with this set-top-box seizure. So who exactly is opposed? Of course the usual, rational actors in these sorts of things. The people and organizations who understand the rule of law, economics and freedom generally. We at Less Government certainly are. So too are joints like Tech Freedom, the Center for Individual Freedom, the Free State Foundation and many, many more. Time Warner in understated fashion calls the grab “unnecessary.” Comcast proved the grab not only illegal but unnecessary by unveiling yet another iteration of the 21st Century’s replacement for the 20th Century set-top-box – the application (app). Dish Network and EchoStar filed joint comments in opposition. Now we branch out to other opponents of the grab. Behold the people who create the content – which the FCC is about to make much more susceptible to theft. Collections of companies like the Motion Picture Association of America (MPAA) and the Recording Industry Association of America (RIAA). Companies like Walt Disney, CBS, 21st Century Fox, A&E Television Networks, Scripps Networks Interactive and Viacom. And joints like the Digital Citizens Alliance – likewise concerned with intellectual property protection. 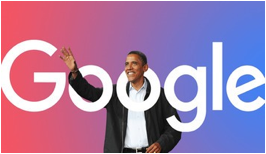 So nigh the entire Tech World – and beyond – is opposed to this next Obama Administration power grab. So we’re all going to get it – good and hard. Tags: Seton Motley, Less Government, Obama Power Grab, FCC, Google To share or post to your site, click on "Post Link". Please mention / link to the ARRA News Service. and "Like" Facebook Page - Thanks!